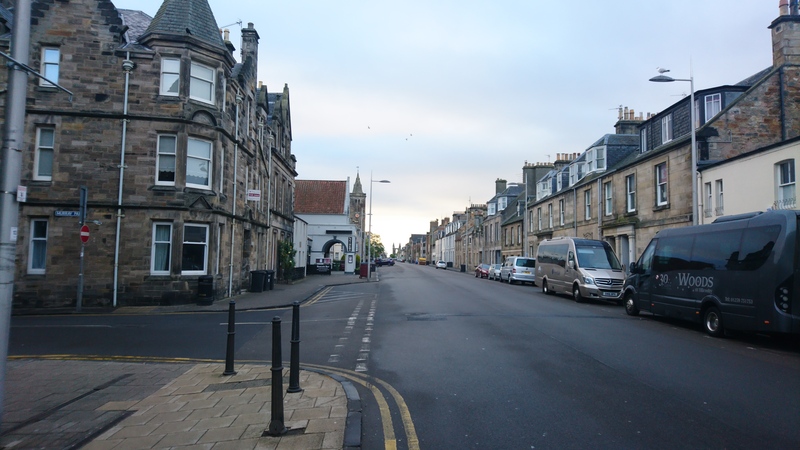 It’s been a long time since my Part 1 post, but I’m of the opinion that it doesn’t make this any less relevant or readable, so part 2 is here and it describes my early morning ride from St Andrews Premier Inn on the Tuesday morning of my week working up in Scotland. 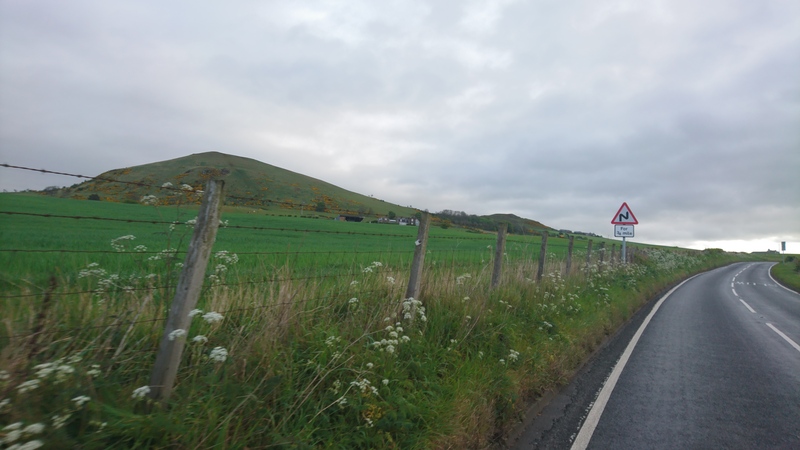 Monday up in Aberdeen didn’t lend itself to getting out on the bike, so after Sunday’s ride up and over the Mennock Pass, Tuesday morning saw me taking to the relatively flat roads of Fife. Having scoured the OS maps for significant hills within striking distance of the St Andrews Premier Inn, I decided to give up on hills and set myself a loop around the coast instead. Heading out to the south east I kept to the A917 following it out to Crail, around to Elie and as far as Upper Largo. It was here at Upper Largo that I left the A917 for the A915 St Andrews Road to make my way inland back across to complete the loop. Not a very imaginative route and using more main roads than I usually would but for a morning ride before work with limited time available and not knowing the lie of the land, being on well signposted roads and having barely any junctions to negotiate makes for an easier life. Sometimes sticking to the main roads has it’s benefits. For an A road the A917 fom St Andrews is pretty quiet. I was riding along there on a Tuesday morning, maybe a little early for commuters but all the same I expected a little more traffic. I suppose it’s quite a quiet area of the country and a lot of the activity comes from golf and the golf courses; which would probably peak later in the day. The coastal route doesn’t remain in view of the sea all the way but you do get plenty of opportunity to look out across the water, this is especially true once you reach the southern edge of the peninsula where you can look out towards North Berwick and the small hills around there. As I headed along the coast road, into what seemed like a constant headwind of course, I couldn’t help thinking that it was much like riding along the north Norfolk coast, the A149 from Hunstanton through to Cromer. Just with nicer weather than when I did the Norfolk 250 mile ride back in July 2016! Norfolk 250 &#8211; The big one is in the bag! 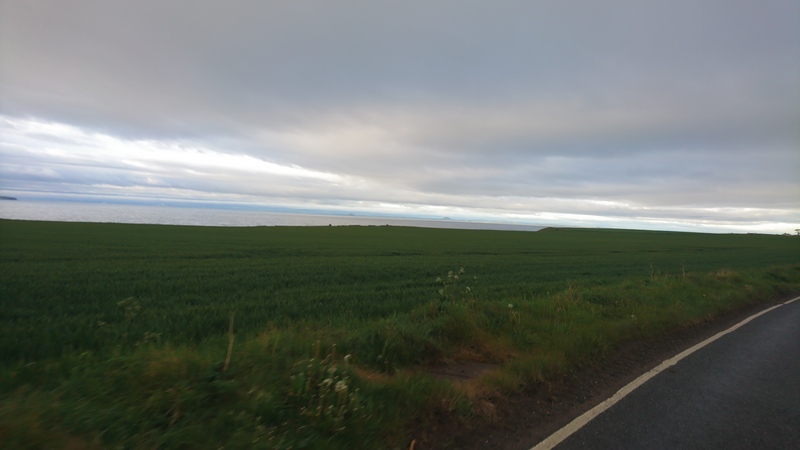 Like the north Norfolk coastal road, the A917 isn’t pan flat, even though there are no serious hills, it kind of undulates, just enough to make it tough going. Turning inland at Largo is the only point of this route where you’ll find a proper hill. Not a massive one but something to make you click the shifter a few times and drop down to ‘a gear more kind’. It’s a gain of 126 m over 3 km which averages out at around 4% and as I recall there’s nothing to worry about in terms of max gradient, none of the 20% stuff that you find on some climbs. From the top the A915 undulates a little and finally peaks at a place called Lathones. It’s a nice stretch of road and at this point in my ride I had finally turned out of the wind and felt like I was making much better progress! At the turn from Largo I had been starting to worry a little about what time I had left for my ride, would I be back at the hotel on schedule and how far I had left to go; most importantly “would I have time for a decent breakfast?”. 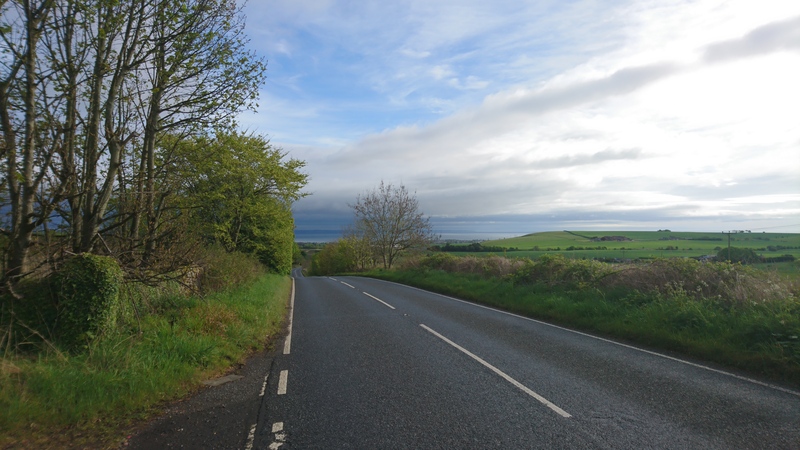 I needn’t have of course; with the route heading first around the peninsula and then cutting directly back across with the wind pretty much behind, I now made up for lost time and once past Lathones, it’s a beautiful downhill stretch all the way back to St Andrews. Dropping over 150 m of elevation along a stretch of just over 10 km this is a great way to end your morning ride. An easy cool off for the legs and a great view of St Andrews at the last too. The primary purpose of this route had been to get out and ride. The week away in Scotland came only a few of weeks before the 2017 Tour of Cambridgeshire and I was eager not to lose any of the fitness I’d built up this far into the year; especially as I’d be going on a family camping holiday the week before the event and not getting any riding then. In this regard, it certainly served it’s purpose, I managed to clock up 60 km before breakfast at a respectable solo average of 28.4 kmh. But it’s also a ride that I rather enjoyed, a nice bit of coastal scenery, followed by a testing but not too serious climb and a fantastic descent to finish things off. I won’t be organising a trip out that way to specifically ride near St Andrews, it’s not that good but if I’m up there for work again, I would certainly consider riding this loop another time!